An experienced senior financial adviser, Erin Coyle emphasises getting to know her clients on a personal level as a way of developing a deeper understanding of their situation and goals and helping them implement strategies to achieve those objectives. According to Erin, there is also an educational element to her role because “if a person is looking for financial advice, they are aware of a gap in their knowledge and are looking to us to provide the missing piece of the puzzle”. “I love it when clients say to me ‘that’s been very helpful’ or ‘that’s such a relief’ because it means they understand the benefit of the strategy or strategies I’m recommending,” she said. 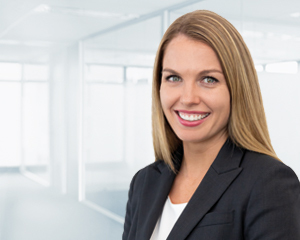 Erin provides strategic financial advice that is tailored to her clients’ individual circumstances and objectives. She specialises in tax-effective wealth creation, superannuation and retirement planning, wealth protection and government benefits. Many of her clients are in the pre-retirement or retirement phase. “By providing strategic financial advice, we’re giving clients a blue print for where they’re going and how to get there, and this gives them peace of mind,” Erin said. Before joining Dixon Advisory in 2011, Erin worked with a team in the Private Wealth Management division at UBS in New York City, servicing high net worth clients in tax and portfolio management. She credits her mentor at UBS with influencing her own approach, having shown her the direct link between fostering positive long-term relationships with clients and helping them obtain successful outcomes. Erin has a Bachelor of Commerce (Liberal Studies) with Distinction from the University of New South Wales, majoring in Finance and Accounting. She is a Certified Financial Planner® (CFP) and has a Diploma of Financial Planning from Kaplan Professional. Erin was awarded the inaugural Gwen Fletcher Memorial Award for the highest achieving student in the CFP® Certification Program In 2014.